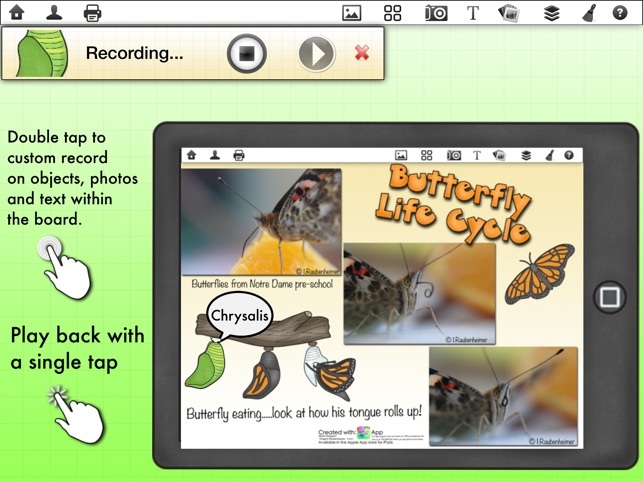 iESLp the most adaptable App, right at your fingertips, accommodating multiple groups and abilities. Stamp, Size, Move. 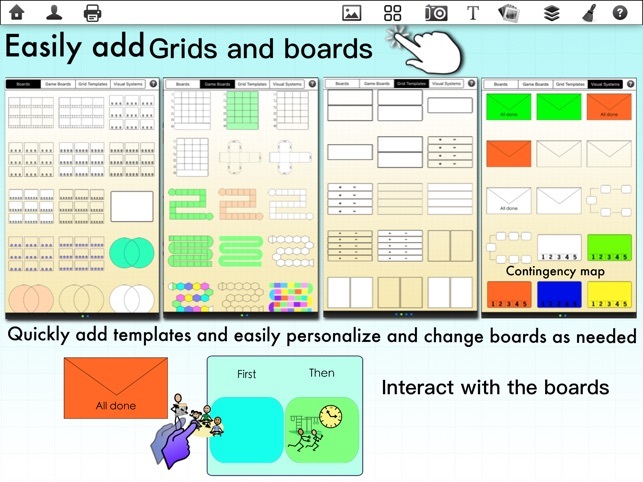 Make a task, activity sheet, story or so much more by using the easily sizeable, movable 18000 + in-app graphics and templates available at your fingertips. - Easily create goal content or curriculum-related material, articulation sets, minimal pairs sets, etc. 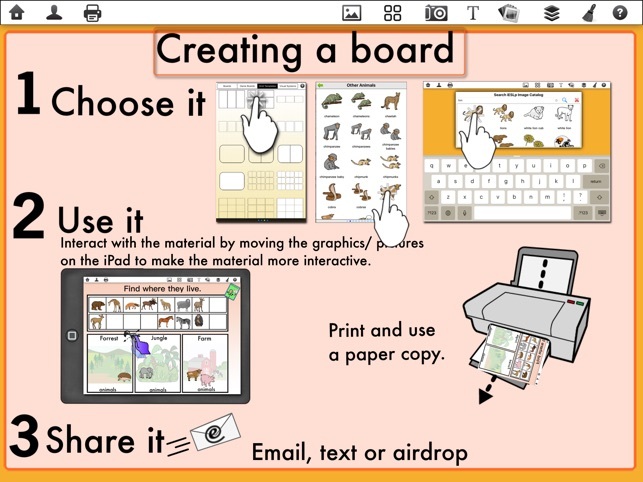 - Students and clients can make their own boards, activity sheets, games, etc. Creative parents, clinicians and teachers will undoubtedly add to the list of infinite possibilities as they soar with the use of this App. This App holds the key to unlocking the infinite possibilities of creating interactions which enhance learning and social content in real time, meeting the diverse needs of all who use it. Do you have a student or client who is on the outside looking in while others seem to learn with ease? 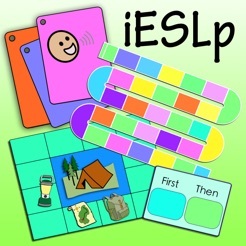 iESLp is the tool to level the playing field for students and clients who struggle with language and learning. iESLp is not limited to those who struggle: it is a fun and meaningful program that appeals to users across all ages, abilities and interests. 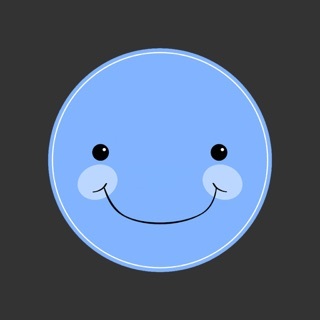 Users of the iESLp App will have a blast creatively playing and interacting with picture manipulatives and will forget that they are actively learning. Allowing students/clients to capture their learning and sharing it immediately using app functions, is a solid base of Assessment for learning practices, a spin-off for app users. Every learner is unique. iESLp allows for learning differentiation that students require. Common core goals can be met and assessed within the endless possibilities afforded to the App user.